Sesame Street is celebrating its 40th birthday today. 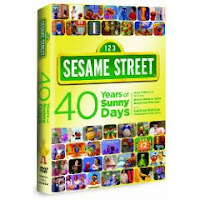 For a stroll down memory lane, you can purchase the commemorative DVD, Sesame Street: 40 Years of Sunny Days. You can also vote for your favorite episode on the Sesame Street site.